The new X-Files episodes are being shown in the UK (on Channel 5) a few weeks after their US airing. Last week’s episode, called “Babylon”, was notable among other things for a brief cameo by the three Lone Gunmen characters from the original series. Sadly, it really was only a fleeting glimpse – I almost missed it on Monday and had to watch it again on catch-up the next day (I also had to see Agent Einstein again, but that’s another story). The official publicity shot, pictured above, shows the characters more clearly – from left to right: Byers, Frohike, Langly (by coincidence all three of them are wearing bolo ties, which I mentioned in Green-skinned nostalgia two weeks ago). I have very fond recollections of the Lone Gunmen. Partly this is nostalgia for a time when only a small number of highly eccentric individuals, such as these three, believed in conspiracy theories (as opposed to half the internet today). Also they are among the very few TV stars that I can really identify with (I like to think I combine Byers’s scintillating personality, Frohike’s stunning good looks and Langly’s impeccable fashion sense). Actually I really do have a rather tenuous connection with Byers – or rather with Bruce Harwood, the actor who played Byers. If you look back at the December 2002 issue of Fortean Times, then on page 52 (the letters page) you will see the names “Bruce Harwood” and “Andrew May” in close proximity to each other. How this came about is a rather long story, but it’s an interesting one – so here it is. As it turned out, Bruce Harwood sent them a letter saying pretty much the same thing. Needless to say, the intimate perspective he was able to offer meant they printed his letter in preference to mine. He concluded by saying “I think it’s safe to say that our pilot … will never be seen on network television anywhere. Ever.” – after which they printed the last sentence of my letter. I was more than happy with this result. It was only the second time I’d had something of mine printed in Fortean Times – and it linked me with one of my favourite characters from the X-Files! 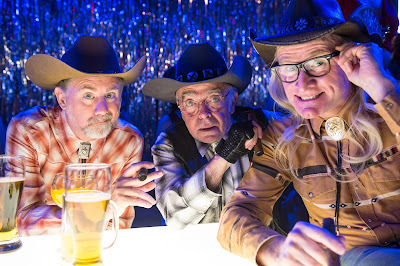 I liked the Lone Gunmen too even though I was getting more and more fed up with the X-Files - all those confusing and convoluted conspiracy theories about alien invasions, bees, black oil, the Cigarette Smoking Man blah, blah. 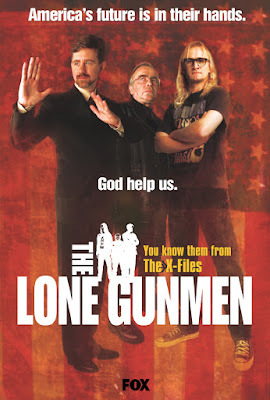 I never saw any episodes of the Lone Gunmen's short-lived spin-off series but weren't they all killed at the end (apparently) ? What a pity they couldn't be part of the X-Files now that it has returned. I couldn't agree more, Colin. The first four seasons of the X-Files (the ones I talked about in my recent post) were the ones I mean if I tell people I'm an X-Files fan. As soon as they got too deeply into all that nonsense you refer to I lost interest. That sort of crazy, knee-jerk, anti-government conspiracy thinking always sends me to sleep whether it's purveyed as fact or fiction. I was hoping this new series would do something different, so I was horrified by the first episode which was just more of the same old thing. A couple of the later episodes (this one, Babylon, and also the second episode, Founder's Mutation) have been really good ideas, but unfortunately neither the scriptwriters nor the actors are taking their job seriously enough. For me, that just spoils the effect completely. I think you're right that the Lone Gunmen were "killed off" at one point, but that was after I'd lost interest so it doesn't count as far as I'm concerned! If there are three of them and they hang around together, they're not exactly 'lone', are they? H'mm. 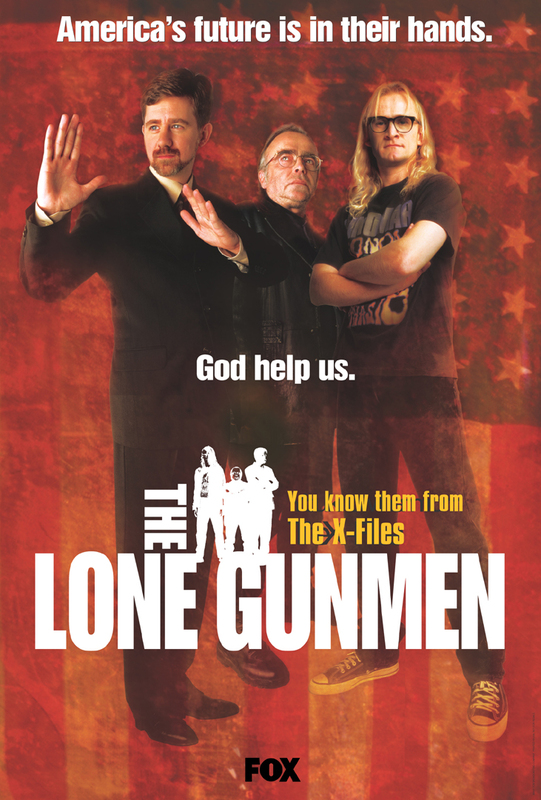 If I remember correctly, "The Lone Gunmen" was originally the title of a conspiracy themed newsletter the three of them were supposed to edit. You're right that it's an oxymoron, of course, but that's a deliberate joke. The official report on the JFK assassination concluded that it was the work of a "lone gunman", singular, but no conspiracy theorist in the world believes that. Hence "lone gunmen", plural. I shoulda watched the programme, eh? Andrew, in 2003 on the 40th anniversary of the JFK assassination there was an excellent programme presented and narrated by Gavin Esler (of Newsnight fame) which recreated the events of the assassination moment-by-moment in precise detail using computer graphics. It also debunked all the myths (the first bullet changing direction, Oswald having no time to fire the second shot etc) - I must admit that I had tended to believe in the "second gunman on the grassy knoll" theory but that programme was a revelation and ever since I have believed 100 per cent that Oswald was the lone gunman - just a tragic event in a country where access to guns is far, far too easy. I'm sure most (if not all) conspiracy theories would equally fall apart if only the facts were presented in such a clear and concise fashion. 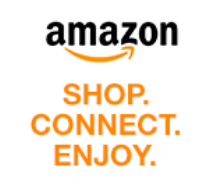 Thanks for the link, Peni - that's a nice cartoon! As I said in my book Conspiracy History, Colin, the biggest mystery of the JFK assassination is not whether or not it was a conspiracy, but why the authorities, on the day of the assassination itself, never even considered the possibility that it MIGHT HAVE BEEN a conspiracy. They made no attempt to secure the crime scene or preserve forensic evidence, completely botched the autopsy, and didn't even look for conspirators or accomplices. Given that this was just a year after the Cuban Missile Crisis, when the U.S. came within days of an all-out nuclear confrontation with Russia, you would think the possibility that the President's assassination might have been the first step in a bigger plan leading to a declaration of war would at least have crossed their minds. Maybe not a conspiracy, then, but certainly gross incompetence on a shocking scale. At the risk of giving someone else an idea for a book that they'll get rich off, I once idly wondered if it was friends of Marilyn Monroe, who, incensed at the way the Kennedy brothers (both of whom were reputed to have had an affair with her) had treated her, had the pair assassinated as an act of revenge. Hey, it'd make a good story. Interesting thought, Kid. On the assumption that there's no such thing as a new idea, I just did a Google search for "JFK assassination Marilyn Monroe" - but nothing turned up along the lines of your theory. However, the opposite (that the Kennedy family assassinated Marilyn) seems to be a well-established idea in conspiracy-land. Perhaps Lee Harvey Oswald was Marilyn Monroe's No.1 fan...yes, of course...it all makes sense now ! !